Found 2 file extension associations related to Balsamiq Mockups and 2 file formats developed specifically for use with Balsamiq Mockups. 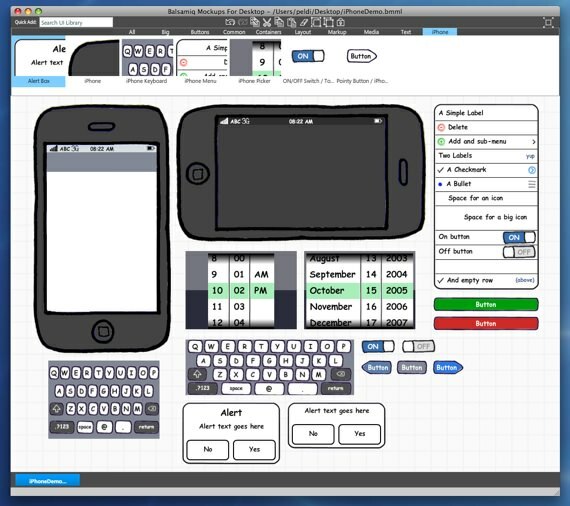 Balsamiq Mockups is a rapid wireframing software tool. Using Mockups feels like drawing, but because it’s digital, you can tweak and rearrange easily. Teams can come up with a design and iterate over it in real-time in the course of a meeting. Product managers, designers, developers, and even clients can now work together in the same tool to quickly iterate over wireframes, before writing code. If you need more information please contact the developers of Balsamiq Mockups (Balsamiq Studios, LLC), or check out their product website.